As Facebook looks to put more emphasis on Instagram, the visual platform is adding in more and more tools and options, designed to keep users on-platform for longer and maximize attention in order to increase revenue potential. Instagram’s latest features focus on IGTV, which, while it hasn’t taken off as well as Instagram would have hoped, remains a key part of its future growth strategy. After recently rolling out IGTV promos in the main feed, Instagram has now also launched a new IGTV layout, including improved search capacity, suggested channels and an updated profile layout. The updates have been shared by various Instagram users on Twitter, including Giuseppe Foresta and Lindsey Gamble, and appear to have been rolled out in several regions. As you can see from the first panel, the updated IGTV main screen now looks a lot like Snapchat’s Discover page, with more prominent user names and headlines, designed to draw you in. 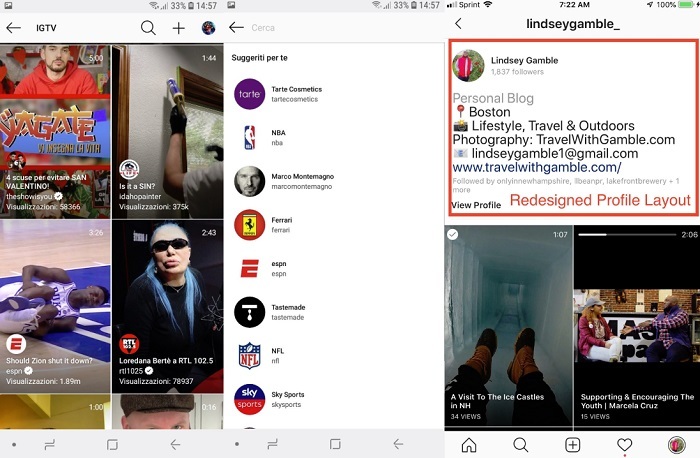 In addition to this, serial tipster Jane Manchun Wong has discovered that Instagram is also testing a new option to view IGTV content in picture-in-picture mode, even outside the app. Will those additions spark more interest in IGTV? It doesn’t appear to be gaining a lot of traction as yet, and Instagram hasn’t provided any official usage stats, but given the platform’s size, and subsequent opportunities for cross-promotion of its longer-form video content, you’d think that Instagram could still lure viewers across. I wouldn’t be writing IGTV off just yet. 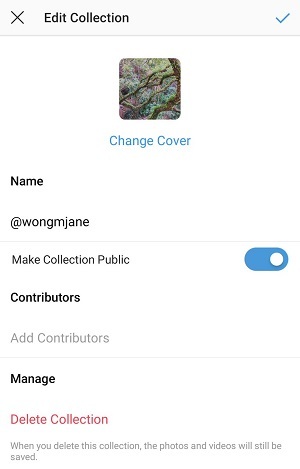 In addition to this, Wong has also discovered that Instagram is testing a public version of the Collections feature it launched back in 2017. Instagram’s private Collections enable users to gather sets of posts on specific topics, and could provide significant opportunity for users to further share their interests and passions, if they were also able to share the same on their profiles. The option, as noted by TechCrunch, is very Pinterest-like, and could point to Instagram’s growing eCommerce ambitions. If, for example, you wanted to showcase your wardrobe in relation to a photoshoot, you could add in a collection of the specific items you wore, including shoppable posts, enabling users to move straight through to purchase. This is likely where we’ll see significant moves from Instagram in 2019, with more eCommerce-related options and tools, designed to take the platform from basic image sharing to more direct selling and revenue opportunities. 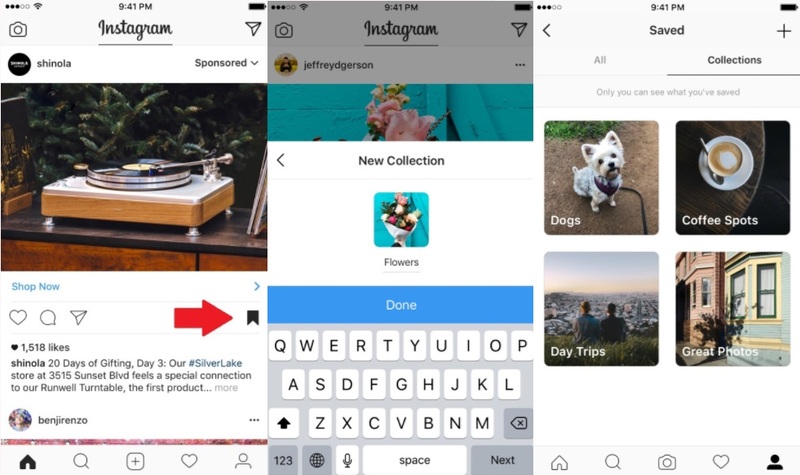 Given Instagram now has more than a billion users, the opportunities here are significant – thus far, Instagram’s additions of shopping tag options have proven to be largely non-intrusive, though it’d be interesting to also note how effective they’ve been at driving sales, given that lack of up-front, attention-grabbing messaging. Really, this is Instagram’s challenge, evolving user behaviors beyond what they’ve grown used to the platform for and expanding those habits into new areas. They’ve done this with Stories, but IGTV and shopping haven’t taken off. Yet. You can bet Instagram will be pushing to see if they can shift the needle on both fronts in a significant way this year.